For the best part of a decade the beginning of January has seen a library of content posting that the next 12 months will be the ‘year of influencer marketing.’ Let’s face facts: for the foreseeable future, every year is the year of influencer marketing. Finding an influencer for your brand to partner with can pour Miracle-Gro over your balance sheet, but in order for this to happen you need select the right influencer and then use their influence wisely. Below I’ve looked at 4 examples of innovative brand/influencer partnerships. Read on and see how you can make the most of the relationships your brand makes with your influencer(s). If there’s a company you can team up with to pool your resources with, you can each share in the spoils of your marketing campaign. Camera company Nikon and record label Warner Music Group did just this for SXSW Music Festival. The brands brought in the help of influencers by giving Nikon cameras to artists performing at SXSW, then asking them to record events leading up to the festival and share these experiences with fans on their social media outlets. They created the hashtag #NikonWarnerSound to drive up interest in the campaign. The result? #NikonWarnerSound became one of Twitter’s top trending topics while the festival was held and made 166 million social impressions. Partner with a brand who have shared interests and then create an event that allows you to turn the performers into a band of influencers. If you want a place to look for collaboration, use one of the many excellent influencer resources to find your perfect partner(s). Influencers aren’t always human, as is the case with social media sensation Loki the Wolfdog. German car manufacturer Mercedes-Benz saw the potential of partnering with a pet whose Instagram followers stand at 1.7 million, and used this to create a widely viewed VR video advert. Mercedes-Benz – Loki (360° Experience) follows the titular hound and his owner Kelly Lund on a journey through the snow covered mountains of Crested Butte, Colorado, with the two travelers aided by the Mercedes-Benz 2017 GLS sport-utility vehicle. The advert has received nearly 100,000 views on YouTube. So, if Selena Gomez isn’t available then fear not; you can create a feel good story for your brand by seeking out the most viable non-human influencer, and partnering with them to create a campaign to draw attention to your business. Do a bit of background research first by holding a social media poll to find which animal is most popular among your audience. Doing this means you can select an influencer who is more likely to resonate among your fans, and create a campaign that is more likely to be shared by your followers. Why settle for one influencer when you can have many? That’s precisely what British online fashion and beauty store ASOS decided and it led to them creating one of the most innovative influencer marketing campaigns of recent years. How ASOS’ campaign worked was to create ASOS Insiders. These are men and women from across the world who are given individual ASOS profiles and social media accounts. ASOS then give their products to these insiders and get them to post their appreciation for them on their branded social media (primarily Instagram) accounts. Your brand can take inspiration from this and create influencers from your customer base. You can do this by giving them use of your products, on the proviso that they share their experiences on their social media accounts and include a link to your company Instagram account. You can then turn this attention into revenue by making your Instagram feed shoppable. You can do this by using an app like Snapppt, which lets you embed shoppable Instagram galleries and carousels into your business for free if you’ve built your website using an online store builder. Consistency might be key for Fanta’s Coca Cola owners, but being reliable doesn’t mean being stale; Meet the Fantanas has been one of Fanta’s key marketing weapons since 2002, but the brand’s fourth gen launch brought YouTube influencers into the fold. MyLifeAsEve, LaurDIY, Jordan Fisher, and Coco Jones are the Fantanas’ current incarnation and between them they have more than 16 million followers on YouTube alone. Storytelling is central to exceptional brand marketing. What’s brilliant about the Fantanas is that they take storytelling beyond the normal brand history and give the story an identity all of its own. The Fantanas’ greatest success is that they have gone beyond being a marketing campaign and have seeped into popular culture – MadTV, Robot Chicken, and Family Guy have all parodied the carbonated family. All this attention combined with the enormous reach of the Fantanas’ makes for an influencer marketing campaign which is innovative and keeps to a consistent brand message – the dream combination. While it’s unlikely your marketing campaign will immerse itself into popular culture in the same way as the Fantanas, you can learn from Fanta’s brilliant approach: add a splash of innovation to your existing marketing by using an influencer to tell your well-established brand story. The annual rolling out of ‘year of influencer’ assertions may have you thinking that this marketing tool has become stale. Not at all. Influencer marketing remains a vibrant and powerful force. If you can bring an innovative approach to your influencer partnerships you can take your brand into a realm of near intangible engagement, just ask the four brands we’ve covered what they and their customers think of their influencers. Victoria Greene is a branding consultant and freelance writer. On her blog, VictoriaEcommerce, she loves to talk about the latest in the world of marketing, social media, and branding. She is passionate about helping brands update their marketing strategy. 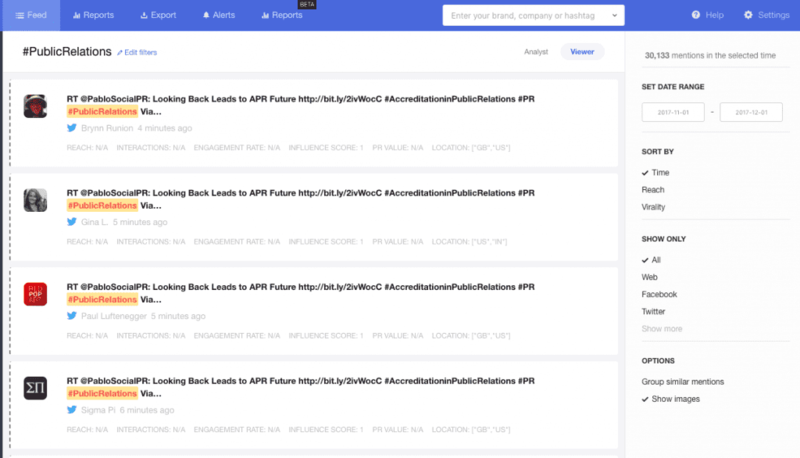 Are you using social listening tools to find influencers? Because you should. Hey! I love your article about influencers I didn’t know about the partnership between the Nikon and Warner Music Group. I like that you gave details about what was all about. I strongly believe that great storytelling, something unique can bring a lot of engagement after an add campaign. The article about “The Startup Competitions That You Can’t Afford to Miss in 2019” can complement your list. So go and check it out my friend. I like the article! I really noticed how ASOS and many other brands are using influencer marketing campaigns. It has come so far, but I enjoy following them more than regular ads, for a nicer social media feed.